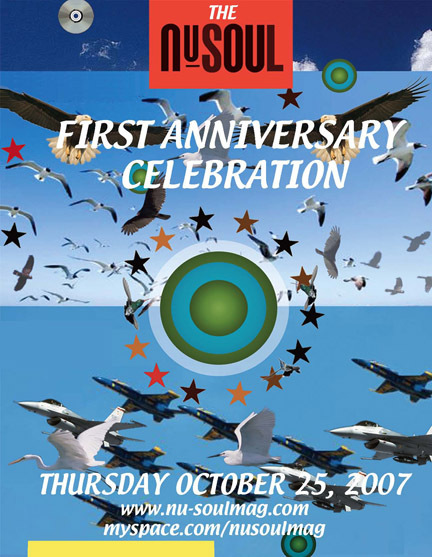 On October 25th Nu-Soul Magazine in conjunction with Strictly Social presents the Nu-Soul First Anniversary Celebration. This will be our biggest event so far to thank everyone who has supported us in the past year. Come out and experience LIVE PERFORMANCES from some of our favorite rising stars. 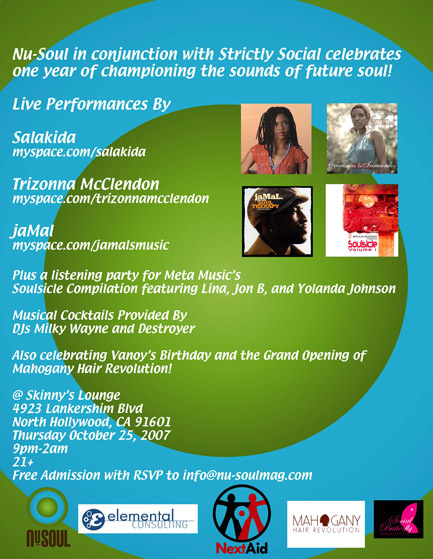 We will also be hosting a listening party for Meta Music's compilation Soulsicle Volume 1, out on October 23. This stunning new album features tracks from Lina, Jon B, Yolanda Johnson and more! The remarkable people at Next Aid will also be supporting our event. This wonderful charity raises money to support children in Africa. NextAid, using the beats of our generation to provide hope for the next. Also we will be celebrating Vanoy's birthday and the Grand Opening of Mahogany Hair Revolution! Come through and party with us to celebrate this landmark! Musical cocktails provided by the Strictly Social residents Milky Wayne and Destroyer. 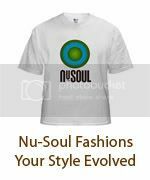 Make sure you RSVP to info@nu-soulmag.com as we are expecting a full house!